At Aponia Dental in North Edmonton, we provide Alberta with affordable dental services in a convenient location. Nothing is more important to us than the comfort and well-being of our patients. We believe it’s important to have lots of options available to you, and we work with you to choose just the right one. We cover all aspects of dental restorations, from fillings and crowns to bridges and root canals. Trust the team at Aponia Dental to help you keep your teeth and gums strong and healthy. Teeth whitening allows us to remove or reduce stains on our teeth, lightening them for a brighter, more beautiful appearance. If you have a missing tooth (or multiple missing teeth), a dental implant is a strong, comfortable solution that looks and feels like a natural tooth. Orthodontics can align your teeth and improve the look of your smile. We provide orthodontic assessment for children and treatments including clear aligners. 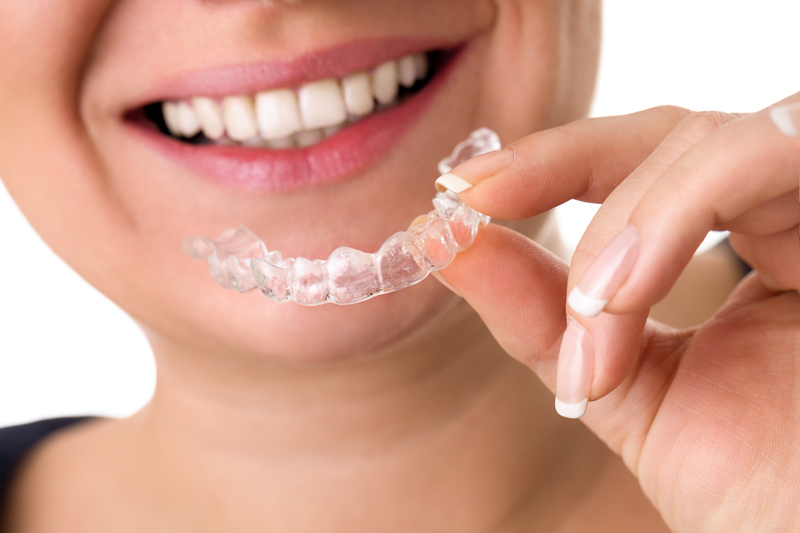 Aponia Dental provides Clear Correct invisible orthodontic aligners to realign and straighten your teeth. Call today. We help children feel comfortable and have lots of fun during their visits to Aponia Dental. We also believe in the importance of teaching them about good oral hygiene. Endodontics is a type of dentistry that deals with a tooth’s root or nerve, and comes into play if you require a root canal. Aponia Dental Centre is proud to offer endodontic care. Some patients experience anxiety about dental procedures. At Aponia Dental, nitrous sedation and oral sedation are relaxing, stress-free alternatives. A healthy smile takes regular care and maintenance. At Aponia Dental, we help our patients understand the importance of regular dental visits and proper brushing and flossing at home. At Aponia Dental, we can remove your wisdom teeth at our dental practice – whether they’re already causing you pain, or have yet to erupt.